Website and processes: 16 Dec 16 Colin, 5/5 Excellent "Very impressed with the whole process,very informative website with plenty of choice,easy to use site,if the flight runs as smoothly I will be more than happy." From over a thousand feet you can spot the Avon Gorge, Brunel's Suspension Bridge and Cabot tower to name just a few of the amazing landmarks you'll get to see on this tour. The thrill and exhilaration of flying through the air in a helicopter is something that many people would love to experience. 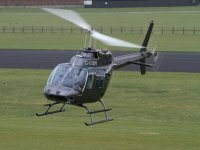 With us you can now experience helicopter rides around Bath, Bristol, Exeter or Worcester in our AS350 helicopter. Flights take place on certain dates each month. Event takes place at Bath racecourse in Somerset .